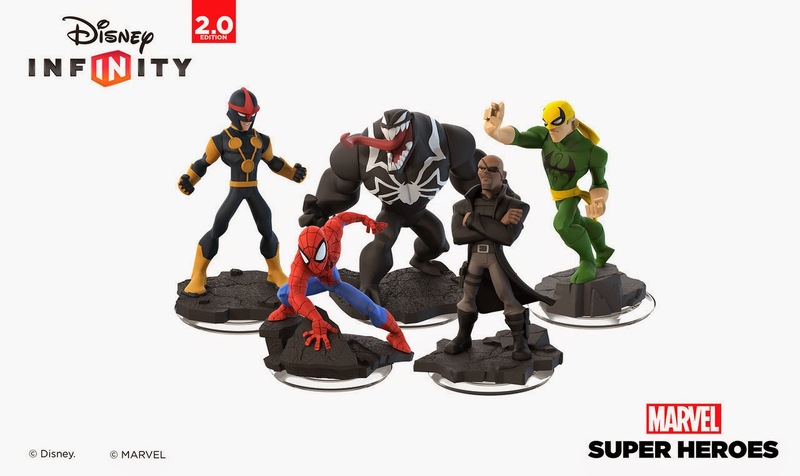 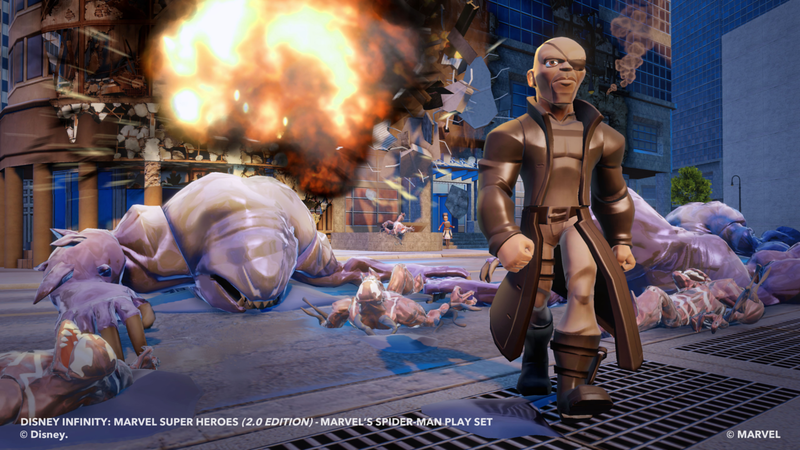 · Play Set: Playable characters include Spider-Man, Nick Fury, Iron Fist, Nova and Venom with additional appearances by White Tiger, Black Cat and Luke Cage. 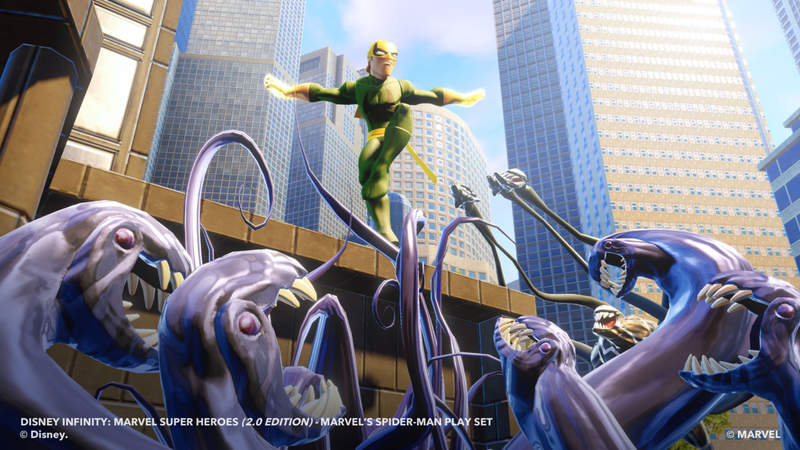 Players will be tasked to destroy the cloned symbiotes and advance to fight Mysterio. 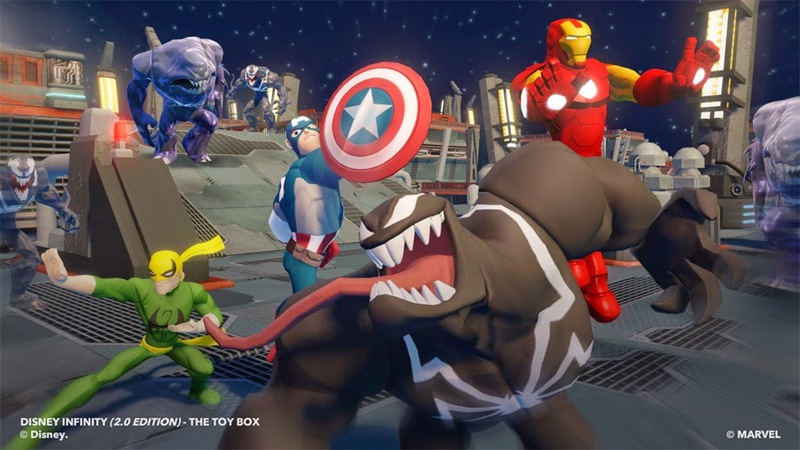 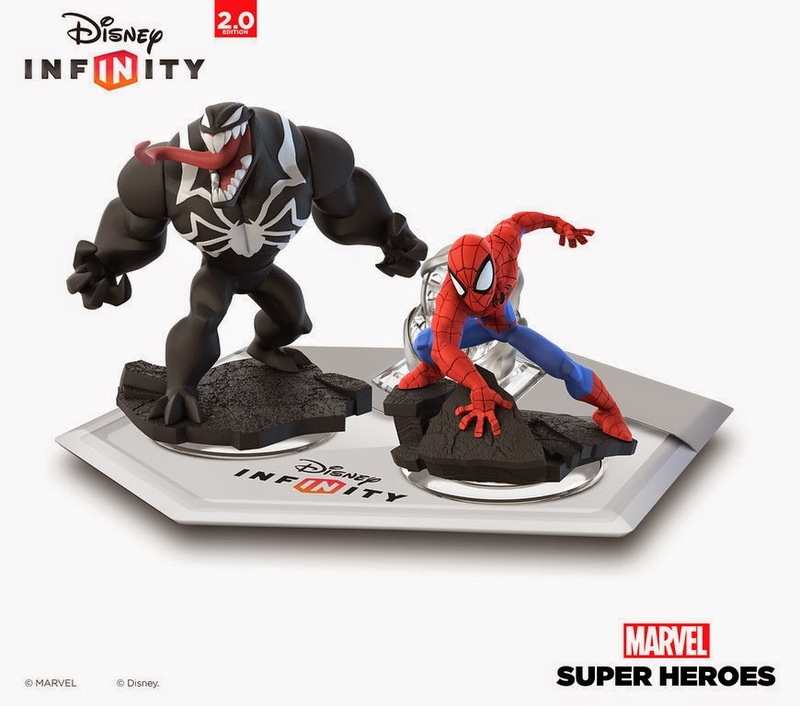 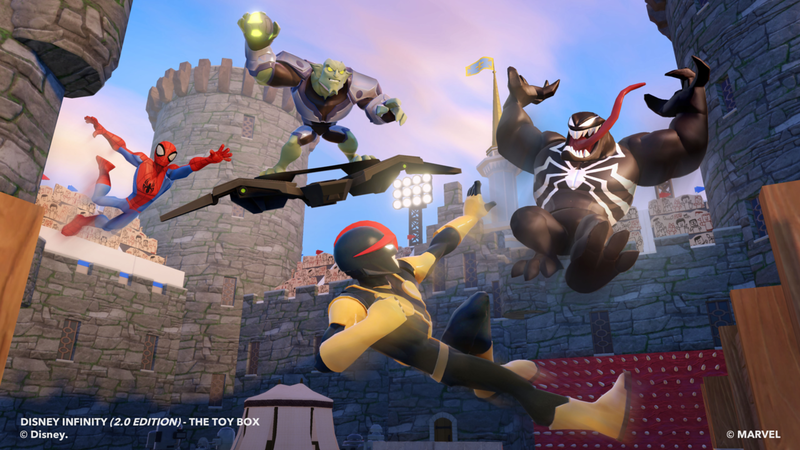 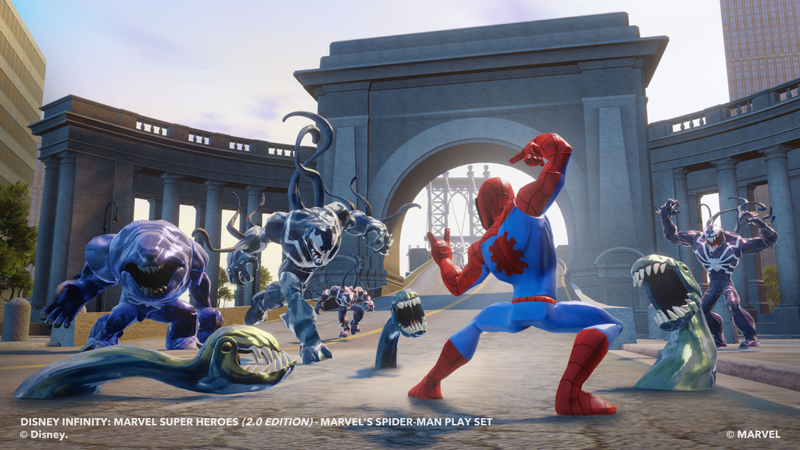 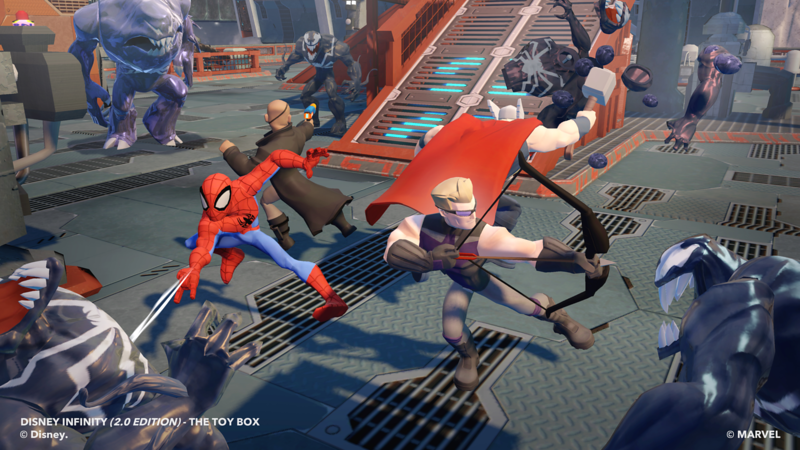 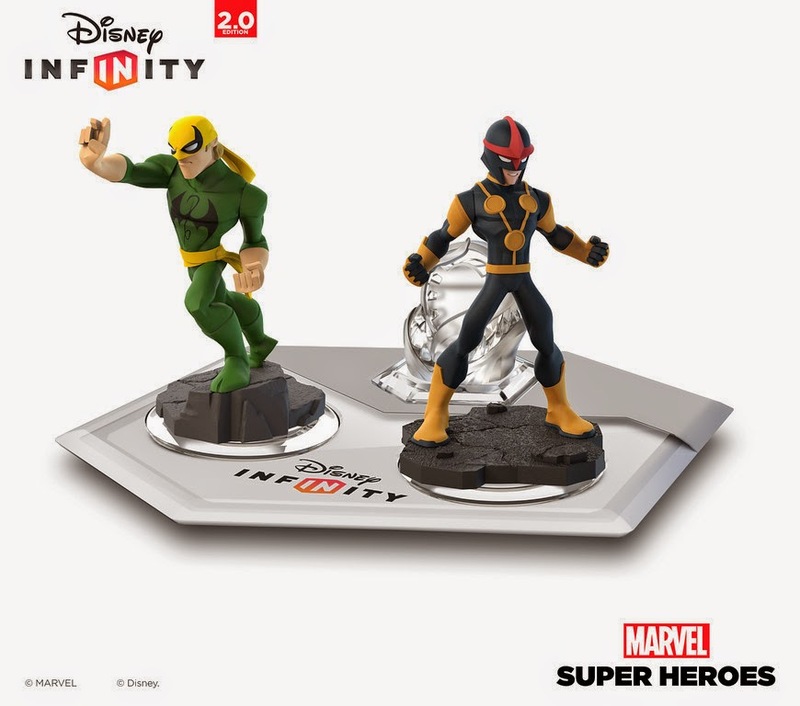 · Toy Box: Spider-Man, Nick Fury, Iron Fist, Nova and Venom will be playable in the all-new Toy Box 2.0 mode of the game, along with all characters previously released for Disney Infinity. 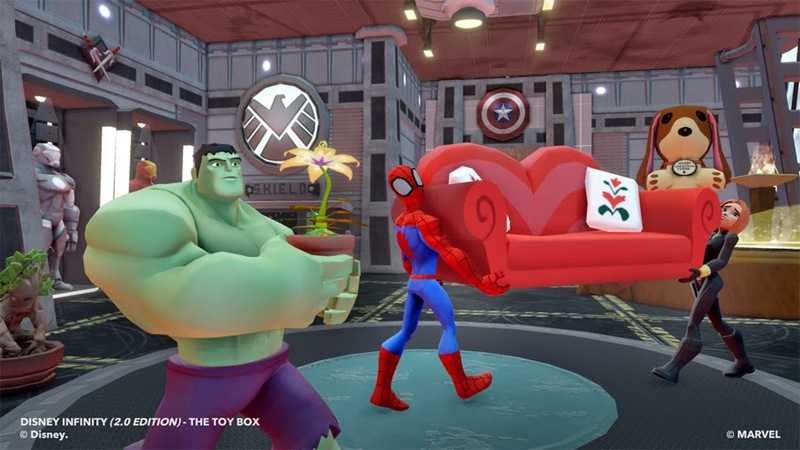 Players will be able to use these characters, plus hundreds of Marvel and Disney-themed items, locations, props and vehicles, to create new adventures in customized worlds. 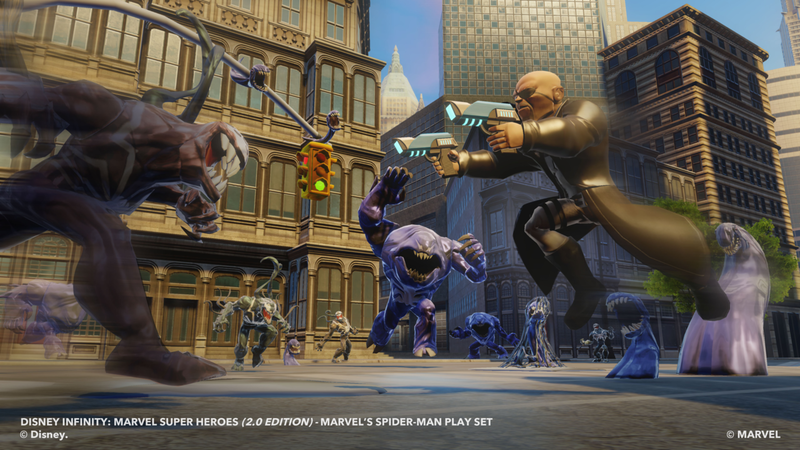 Once players complete the Spider-Man Play Set, the S.H.I.E.L.D. 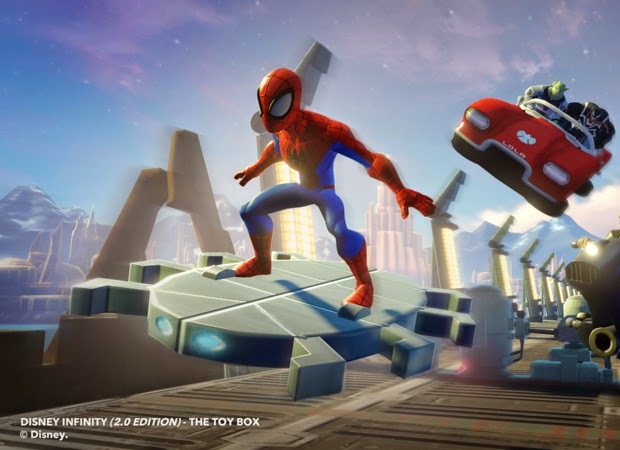 Hover Car, S.H.I.E.L.D. 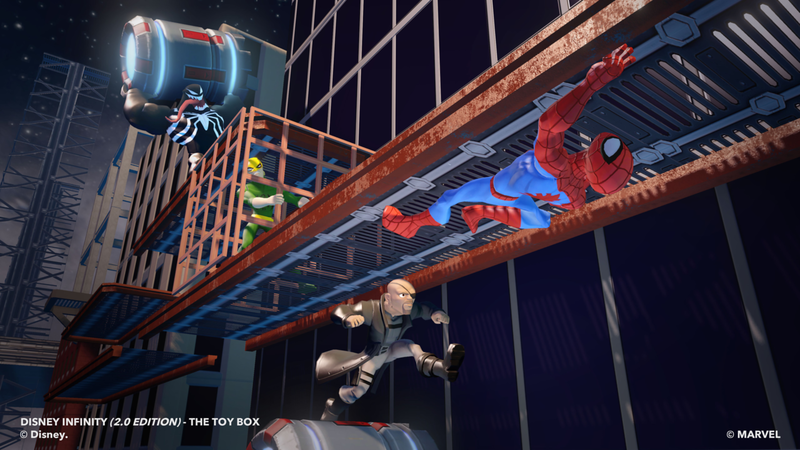 Sky Cycle, Daily Bugle Building and more will be unlocked and can be used in Toy Box.